University of California Press, 9780520271289, 288pp. Mark W. Moffett, Research Associate at the Smithsonian Institution, is the author of The High Frontier: Exploring the Tropical Rainforest Canopy and Face to Face with Frogs. Moffett has received the Explorers Club’s Lowell Thomas Award, the Distinguished Explorer Award from the Roy Chapman Andrews Society, Yale University’s Poynter Fellowship for Journalism, Harvard’s Bowdoin Prize for writing, and many international photography awards. 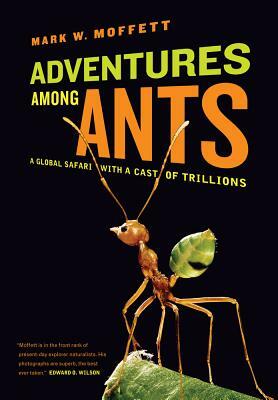 "[Adventures among Ants] is hefty, yet aerodynamic. It’s really good for killing ants."